When a friend or family member is diagnosed with cancer, a normal first reaction is to want to jump in and help by “doing” something - anything. In the first few days and weeks, your loved might need time to process their diagnosis. They may be unsure of how to ask for help and overwhelmed with the thought of having to do so. But rest assured, there are many ways that you can be there for them as a caregiver. Caregivers are described as any person who supports an individual through their cancer treatment. This can be a friend, spouse, child, partner, or even a member of the treatment team. 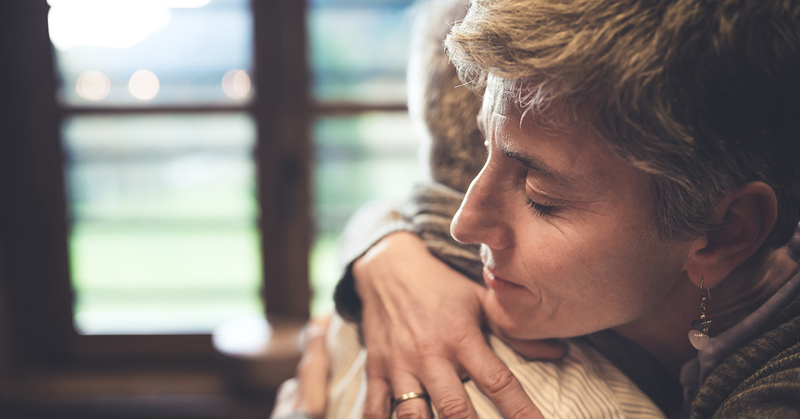 We have some suggestions about ways to support a loved one throughout their cancer treatment and beyond. Caregiving occurs in many ways, but often communication with loved ones and the care team is the most time consuming part of the job. To mitigate this, it’s helpful to identify someone in charge of relaying information to each group of friends or family concerned about how your loved one is doing. Inspirational thoughts sent by friend and family networks are amazing, but it can quickly become overwhelming for a person to feel like they need to respond with a detailed message each time. By having someone keep others updated - with permission - you can alleviate this added stress. Starting a Caring Bridge page is a helpful tool for this purpose. Overall, though, it’s important to remember that, at times, the best way to help your loved one is to just be present and ready to listen. It is always helpful for someone facing cancer to have a friend or partner with them for their appointments. You can help by driving, keeping them company, taking notes, and clarifying information told to them by the healthcare team. Often, new information will be received and having a second set of ears can help. If your loved one is open to it, creating a list of family and friends and a schedule for driving to and from treatment appointments is also a great way to help. Bringing a different friend each time can help break up the monotony of lengthy treatments. Driving your loved one to and from appointments and treatment visits, even if that means waiting in the waiting room, lets them know you are there and rooting for them. Keep your loved one company if he or she feels up to it (but also be prepared to gracefully respect their desire to be alone.) Days in the hospital can feel extremely long. so a walk down the hall with a friend (if it is a part of the treatment plan), a long talk, or even a card game can go a long way! Listen to and keep track of important information given by doctors and nurses. Don’t be afraid to speak up if you or your loved one has questions. Bring some comfort food from home. Please label it with the proper name. You can give it to the nurse who will make sure to put it in the refrigerator if that is needed. Nothing beats a cup of your loved one’s favorite soup or a freshly baked muffin. If your loved one has had surgery, remind them to do their deep breathing exercises. It is easily forgotten, but important. The Relaxation Channel at Fox Chase (Channel #27) is a good way to help your loved one relax. Encourage your loved one to reach out for help if needed from a social worker or nurse. This is tough and they don’t need to do it alone. There are countless resources out there for them. Lastly - and this is an important one - be sure to take care of yourself. You cannot care for others adequately if you do not care for yourself. It is important to eat healthy and do everything to ensure that you don’t get sick. For patients who are going through cancer treatment, catching even a small cold can be a big deal. If you do get sick, practice good handwashing to make sure you don’t pass along the illness.In addition, feeling overwhelmed by the act of supporting a cancer patient is normal and common. Try practicing mindfulness and relaxation techniques if you’re feeling overwhelmed. It’s difficult not be able to fix a difficult situation for the ones you love. Your role however is incredibly important and can make a big difference.